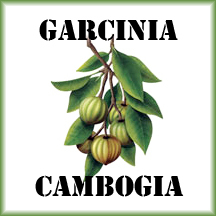 Garcinia Cambogia Extract has been all over the news lately. It seems that folks are finally waking up to the remarkable weight loss effect this tree from Indonesia has to offer. Here’s one of our most popular products containing Garcinia Cambogia to help with you weight loss. Super HCA, provided by Douglas Laboratories, supplies 1,400 mg of Garcinia cambogia extract, yielding 840 mg of (-) hydroxycitric acid(HCA). Each tablet ofSuper HCA delivers 840 mg of (-) hydroxycitric acid from 1,400 mg of a high-quality, standardized Garcinia cambogia extract. This natural extract comes from a tropical fruit grown in several Asian rain forest areas. Learn More.